You’ve surely heard. It’s being touted by the media as a once-in-a-lifetime event. 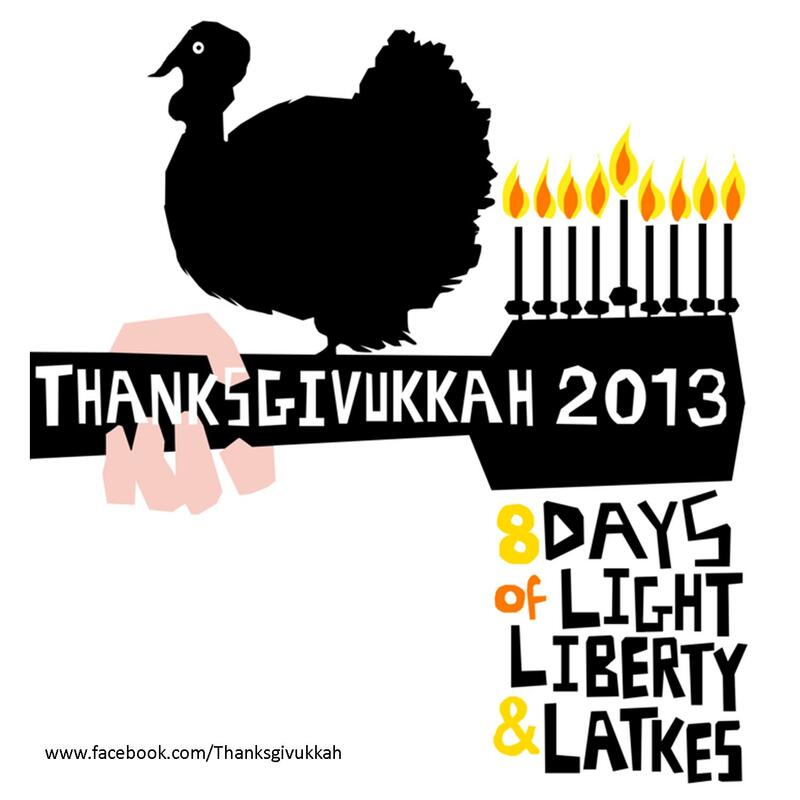 The convergence of the Jewish and Gregorian calendars brings us a hybrid holiday this year: Thanksgivukkah. Hanukkah falls early this year, with the first night of the Festival of Lights on Wednesday, November 27. And Thanksgiving is later than normal on Thursday, November 28. It might have been called Chanksgiving, but in a frenzy of excitement surrounding this unique holiday, the most common appellation is Thanksgivukkah. Seems it’s the winning hashtag. And once the mayor of Boston said he would proclaim November 28, 2013 “Thanksgivukkah,” the name stuck. 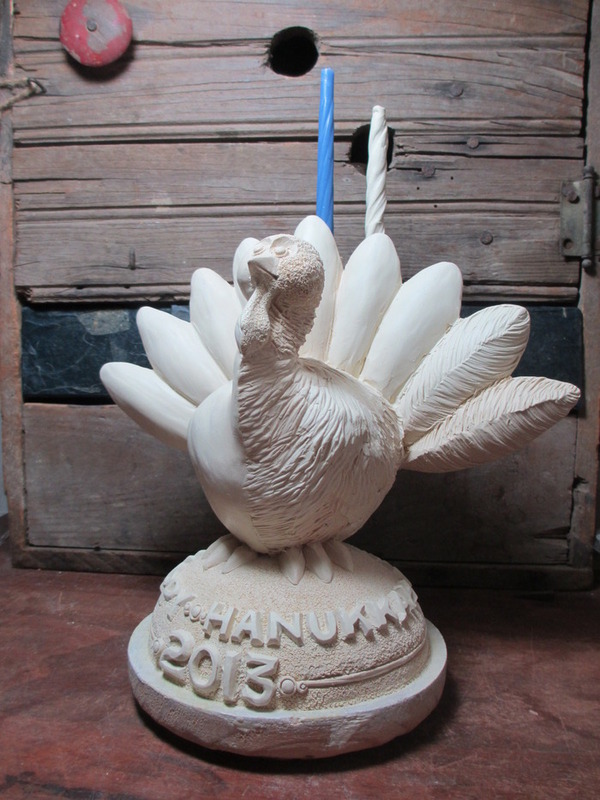 Thanksgivukkah has inspired products like the menurkey, a menorah shaped like a turkey (a nine-year-old kid created it! ), t-shirts, cards, and an all-things Thanksgivukkah website. Rabbis have been commenting on it, and Buzzfeed weighed in with a credible mash-up menu for the festival (Manischewitz-brined turkey, anyone?). Even satirist Stephen Colbert has commented on the phenomenon with a sketch, and this song parody supplies an anthem for Thanksgivukkah. We are not falling for the hype…OK, maybe just a little. Come on, it’s not going to happen for another 79,000 or so. Let’s celebrate! That means food in our book. Our friends at Bon Appetit have been unimpressed with the weird Thanksgivukkah recipes populating the internet, and their post about the worst-ever Thanksgivukkah menu had us chuckling. So we’re just going to recommend a few of our favorite recipes that are appropriate for the occasion. You decide how carried away you want to get with it. First up, cassoulet. Granted, we have a little pork in our recipe (ventrèche is salted pork belly), but this bean and meat stew bears more than a little resemblance to cholent, a slow-cooked bean and meat stew served at countless Sabbath meals over the centuries in Eastern Europe. And with all due respect to kosher laws, the pork really adds something special. 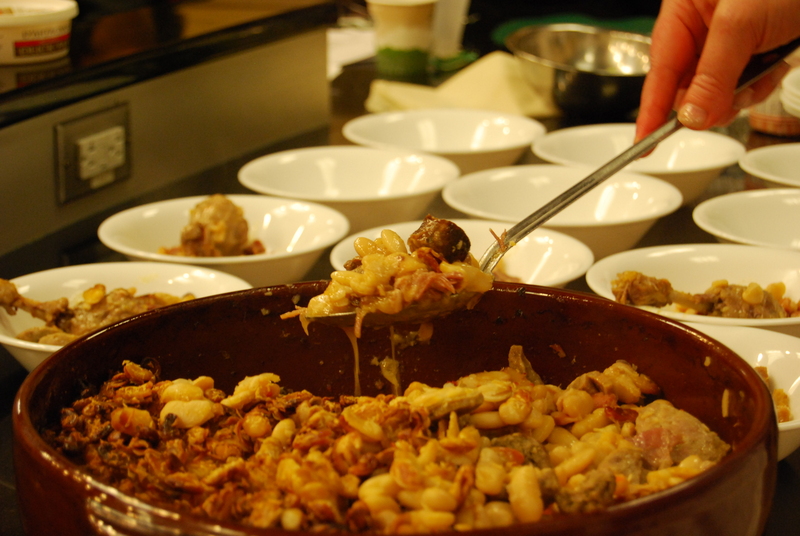 Cassoulet would make a perfect centerpiece for a Thanksgivukkah meal. 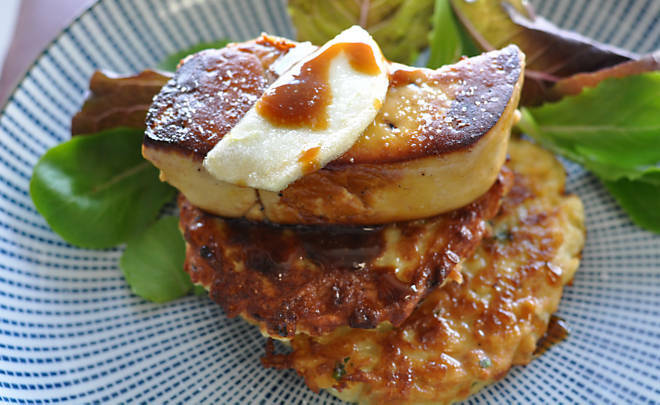 For a more literal interpretation, try our potato latkes topped with foie gras and apples, which we just posted on the blog here. 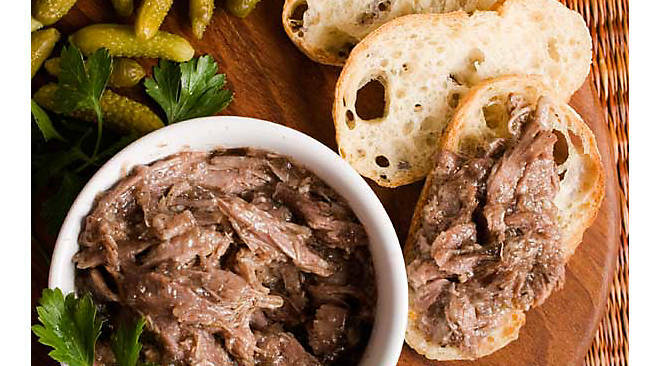 The legs of duck make beautiful confit when slow cooked in their own fat, and when they are shredded…well, we think duck rillettes are one of the most satisfying meat spreads around. Slice a baguette and get a jar of cornichons. Long live the duck fat! 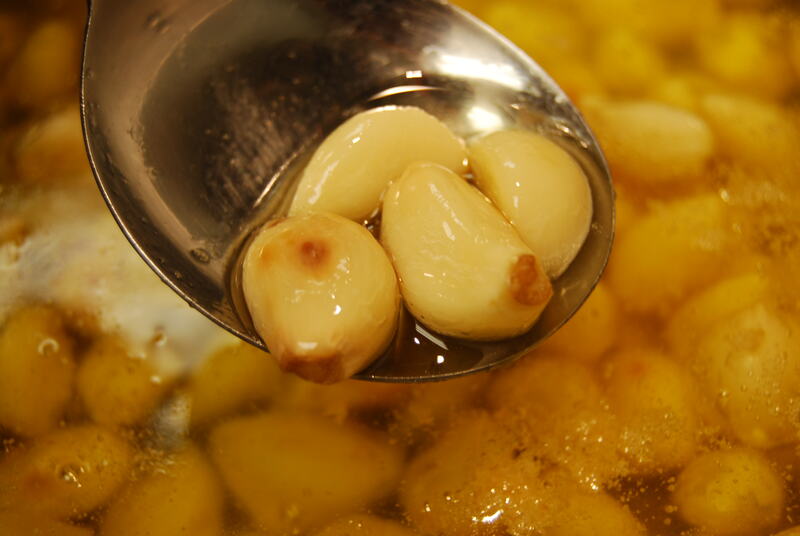 And speaking of confit, garlic can be cooked in duck fat for mellow, tender cloves that are virtually spreadable. We like them in any dish calling for garlic, and love stuffing poultry with the savory tidbits. Sufganiyot are doughnuts, traditionally eaten because all the oil represents the miracle of the oil that Hanukkah is based upon. 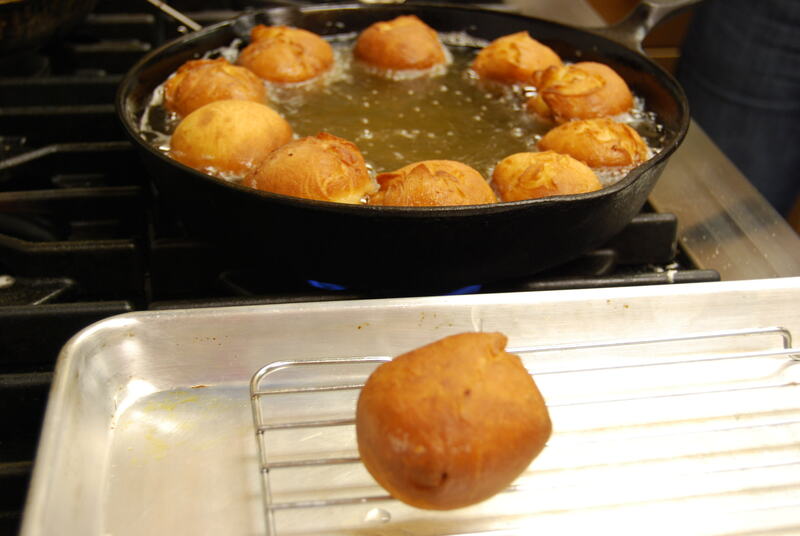 We use duck fat in the dough and in the fryer when we make doughnuts. You will agree this is divine once you taste them. Of course, for a smaller gathering on any night of the holiday (Hanukkah lasts eight nights…does that mean Thanksgivukkah does too?) , a de-boned turkey breast that has been slathered with black truffle butter before roasting makes a very satisfying feast. 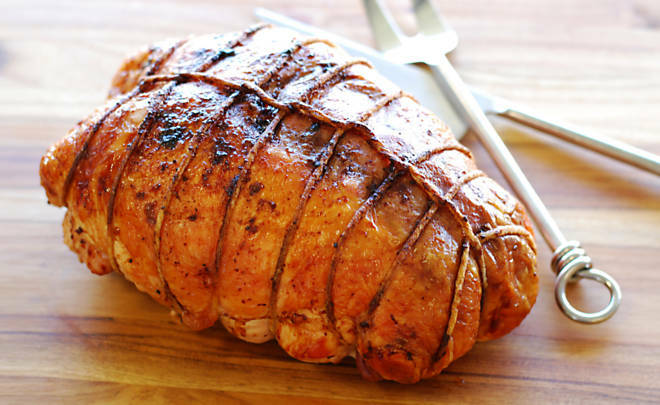 Turkey roulade with black truffle butter. Perhaps our newest product offers the simplest solution. 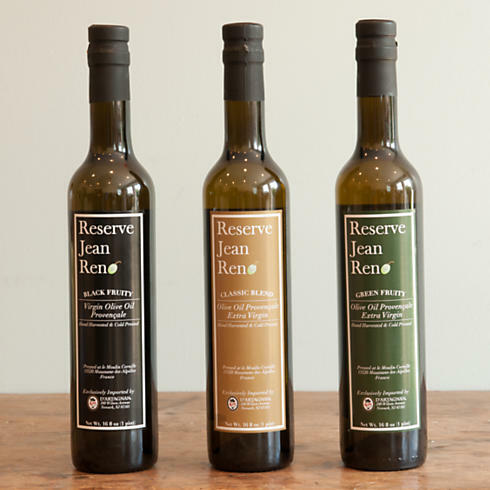 Our Jean Reno Reserve Oil is much like the oil used in the Jewish temple to light the menorah. It is pure and is made using ancient techniques. And you can use it as a finishing oil without much fuss or forceful combining of recipes. It’s a lazy, but elegant solution. Celebrate the miracle of the olive oil. Whatever you eat, however you celebrate it, Thanksgivukkah is the rarest of holidays. Enjoy it!